Enter coupon code 10PERCENTOFF during checkout for extra 10% off. Sorry, but this deal has expired. To see more similar deals, click here. Not yet a subscriber? Subscribe now to be notified when more deals like this become available. Not Your Type of Deal? Hide deals from seller "CITGO"
Hide deals from category "Gas & Services Stations"
Please tell us what you like! What are your favorite deals? The CITGO Gift Card represents a prepayment for authorized products and services at participating CITGO locations and can not be redeemed for cash. The card can not be replaced if lost or stolen and should be protected as you would cash. Promotion is exclusively for Deals Magazine print edition subscribers. Cannot be purchased with account credit/Deal Dollars. Only 1 brand-name deal (magazine exclusives) may be purchased per subscriber. DM and its affliates are not eligible to purchase this deal. For general rules applicable to all deals, click here. Top off your tank or your stomach with this special offer: $5 for a $10 CITGO® Gift Card. CITGO*, an American icon, provides good deals on good fuel, good lubricants and everything else to simplify your daily routine or spruce up your road trip. A CITGO Gift Card is perfect for people on the go and is an easy way to pay for your gas at the pump, or run inside and use it to purchase authorized products and services at any participating CITGO. *CITGO, the CITGO logo and the CITGO Gift Card design are either trademarks or registered trademarks of the CITGO Petroleum Corporation. CITGO is not a participating partner or sponsor of this offer. At CITGO, gasoline is only the beginning. In so many different ways, CITGO products make your life easier. * Deals are ALWAYS on! Most deals are 10% off when original deal is sold out. Allow 7 business days for CITGO gift card to be mailed to the Chicagoland shipping address indicated at checkout. 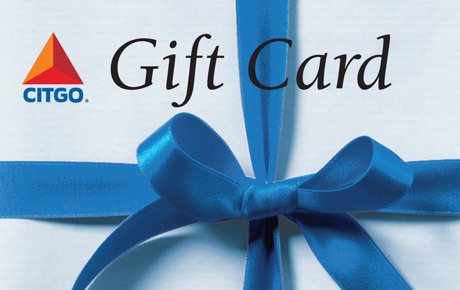 Once received, the CITGO gift card can be used at the CITGO location nearest you. Street relevant deals only where you shop. Our patent-pending method takes your most-frequented routes, and defines your customized shopping area. This way, you'll save time and energy by only getting deals truly relevant to you. Get deals on the go with Deals Magazine Mobile app. Grab it now on the Android Marketplace and Apple App Store. Our patent-pending software allows you to target mountains of potential customers who already are buying within the area of your business. © 2019 Deals Magazine Inc.